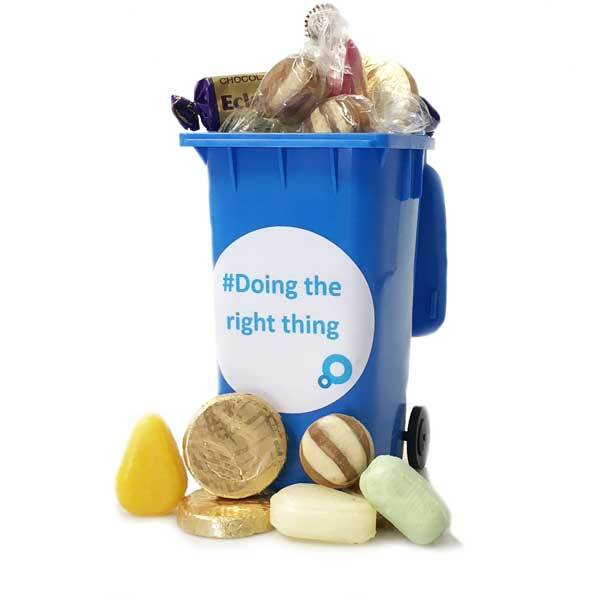 When one of our clients was looking to have something to remind staff of the reuse/recycling initiative, we came up with this rather sweet concept - a desktop wheelie bin (made from recycled plastic, of course) filled with a selection of sweeties! Not only did the wheelie bin effectively remind staff of the seminar, but the fact that it was filled with long lasting boiled sweeties meant that they sat on people's desks for quite some time. The client was very pleased with the end results too, saying: "It looks absolutely fabulous – thank you sooo much 😊". All in all, a wheelie good result!